We have rebranded our existing enterprise imaging solution and expanded its capabilities so it now encompasses and conveys a full understanding of the comprehensive functionality our solution provides to each of our users. Apollo Enterprise Imaging Corp, the pioneer in enterprise imaging and clinical multimedia management solutions, today announced it is [re]defining the capabilities of the VNA (vendor neutral archive) with its enhanced Enterprise Imaging solution, arcc™. As the autonomous repository for clinical content, arcc provides a holistic longitudinal view of all patient data throughout the entire care continuum. 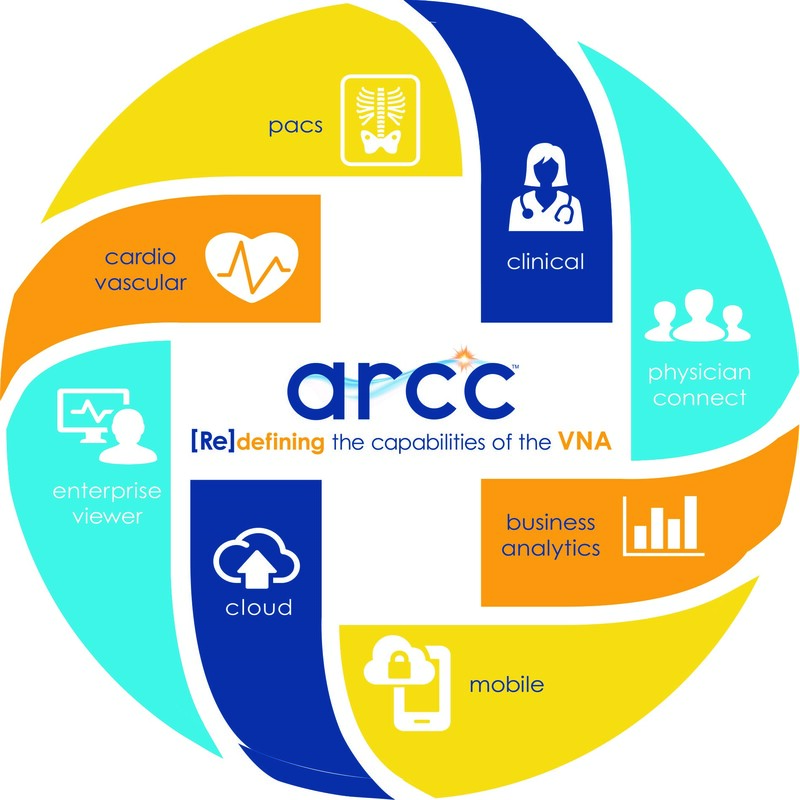 At its core, arcc is a VNA that aligns all clinical departments with a health system’s enterprise imaging strategy. The arcc solution goes beyond imaging and archiving, it focuses on clinical workflows and providing interoperability and connectivity so that every department throughout the entire enterprise can acquire, manage, and securely access all clinical content. “If you’re considering a VNA for your enterprise imaging needs, you need to do more than just manage storage. You also need clinical multimedia management and specialty-specific workflows in a unified solution. That is arcc,” added Mark Newburger. As an exhibitor at RSNA in Chicago from November 26-30, 2017, Apollo is looking forward to showing its premier enterprise imaging and clinical multimedia management solution, arcc. Healthcare professionals can see arcc in action in Apollo’s Booth 1561 in the South Hall. Make an appointment for a private demo at lhaas(at)apolloei(dot)com or by calling 703-288-1474. Apollo provides enterprise-wide clinical multimedia management and workflow solutions that enable clinicians to collaborate more effectively by securely managing all clinical multimedia. Working with your EMR, Apollo unifies the entire patient record and enables authorized user access from anywhere and on any device. While others promise easy, secure, specialty-specific access throughout the enterprise, Apollo delivers this today at marquee institutions throughout the United States and Canada.